Losing 'EXCESS' DOLLARS in each Insurance claim? CLAIMYEXCESS can reimburse you with the 'Excess' deduction? on different risks i.e. 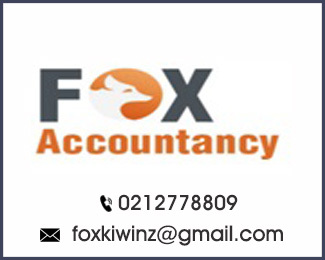 Business, Taxi, Courier Van, Vehicle, House, professional Indemnity, etc. The excess (which can be as high as $5000) is effectively an agreed amount of money that the insurer will deduct from your claim before sending you the Claim Payment which is not a very happy ending especially after a claim. ,when you lodge a legit insurance claim with your Insurance Company, CLAIMYEXCESS reimburses at a low cost the paid excess at its discretion, if covered adequately with us. Is to build and popularise parametric risk solutions, making the availability and sale of such micro/ discretionary products effciently. Fast settlement, enable lower operational costs with greater transparency. CLAIMYEXCESS platform helps in choosing the right product and reimburses the excess amount deducted by your Insurer at the time of your claim settlement. CLAIMYEXCESS has over 50 years of combined hands on global experience in risk engineering, insurance underwriting and in handling insurance claims. CLAIMYEXCESS online platform can go alongside your existing business & personal line insurance policy. CLAIMYEXCESS reimbursement at our discretion is quick, smooth and easy. Settlement is honoured within 72 hours you furnish us with the proof of excess deduction made by your insurer. i.e. hundreds of hard working family - run businesses including super markets, gas stations, dairy stores, liquor stores, bars, pubs, cafes, auto workshops, contractors, taxi/courier/truck owners, professionals and service providers. 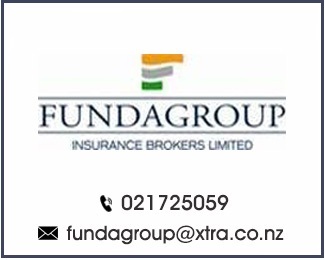 Our team's hands on experience in bespoke risk solution and claim handling make us the most preferred choice with businesses and individuals in New Zealand. CLAIMYEXCESS is a digital, discretionary product developed to deliver next-generation parametric risk solution. At the age of 27 he introduced to the NZ market its 1st enterprise grade mobile application. Now after spending 10 months of his married life with vigour, Arjun is back providing rigour to the CLAIMYEXCESS team. He is responsible for risk management from a strategic, operational and client perspective. Wasu has over 20 years' experience in providing accounting and advisory services and advice some of the New Zealand's CEOs and Directors in SME space. Wasu is keen trekker and loves playing squash. 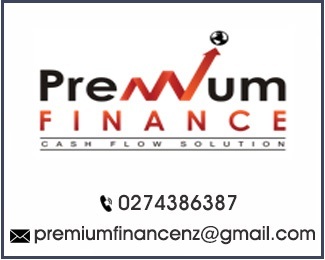 Hedging the risk poll using the Premium Finance Funding helps in protecting surge of claims resulting from any unexpected catastrophic disaster like situation. Hedging is the purest form of parametric risk solution for transfer of portfolio risk without incurring huge cost and 'spreading of risk model' as in traditional re- insurance. Engineer by qualification and a geek with an iota Elon Musk's touch. With over 25 years of experience in claim settlement and risk mitigation, Mr Sharma support start-ups as an angel investor. Cabchooze Taxi App, NZ's 1st Taxi app is one example. We endeavour in bringing new amazing products and services to market in future and discover new ways to make mature products even more attractive. A super idea isn't enough… many traditional companies fail because they spend the majority of time figuring out how to implement the great idea and developing the product without doing much of a research. Our horizontal planning structure focuses on the end user need and scaling up is chalked out increments derived out from the live analytics, social media and consumer's experience. Technology and big data is taking lead position in today's rapid tech space. With data analytic systematically monitored and the KPI's registered on real time the pricing and risk proportioning algorithm balances out naturally thus keeping the portfolio risk sustainable. Once YOUR related lead/main insurance company settles the claim after deducting an Excess (which normally can be $250/$500/$1000 or more), at the absolute discretion of APPSOFT LTD and its terms and conditions, CLAIMYEXCESS cover pays You the deducted Excess for that risk - up to the amount YOU selected (as stated in the Confirmation of Cover(CoC) issued by Us). Our CLAIMYEXCESS reimburses your Taxi or Courier Vehicle Insurance Excess, if a claim happens due to an accident and later followed by the successful settlement of a claim. Our CLAIMYEXCESS reimburses your Truck/Mobile Plant Insurance Excess, if a claim happens due to an accident and later followed by the successful settlement of a claim. Once YOUR related lead/main insurance company settles the claim, CLAIMYEXCESS reimburses the amount limited to the difference between the vehicle value and the Market Value Insured /assessed by the Insurer when settled on constructive total loss basis and/or written off basis or the stolen vehicle not recoverable within 60 days from the date of event, at the absolute discretion of APPSOFT LTD and its terms and conditions, CLAIMYEXCESS cover reimburses You up to the amount YOU selected (as stated in the Confirmation of Cover(CoC) issued by Us). Our CLAIMYEXCESS reimburses the Business Insurance Excess, if a claim happens due to an accident and later followed by the successful settlement of a claim. Once YOUR related lead/main insurance company settles the claim after deducting an Excess (which normally is $1000), at the absolute discretion of APPSOFT LTD and its terms and conditions, CLAIMYEXCESS cover pays You the deducted Excess for that risk - up to the amount YOU selected (as stated in the Confirmation of Cover(CoC) issued by Us). Our CLAIMYEXCESS reimburses the Professional Indemnity Insurance Excess, if a claim happens and later followed by the successful settlement of a claim. Once YOUR related lead/main insurance company settles the claim after deducting an Excess, at the absolute discretion of APPSOFT LTD and its terms and conditions, CLAIMYEXCESS cover pays You the deducted Excess for that risk - up to the amount YOU selected (as stated in the Confirmation of Cover(CoC) issued by Us). .
the CLAIMYEXCESS protection covers the shortfall between the Total Loss payments (prior to the deduction for excess or additional premiums) and the pure Balance outstanding with Financier (excluding costs resulting from arrears, penalty interest, late payments and other avoidable costs) limited to the maximum amount specified on the Confirmation of Cover(CoC) issued by us.